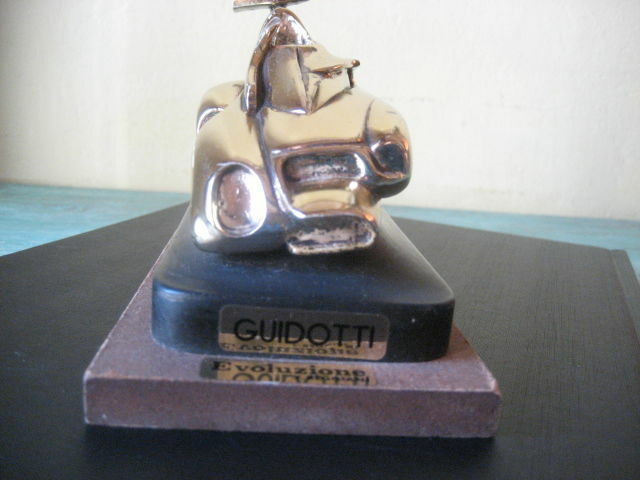 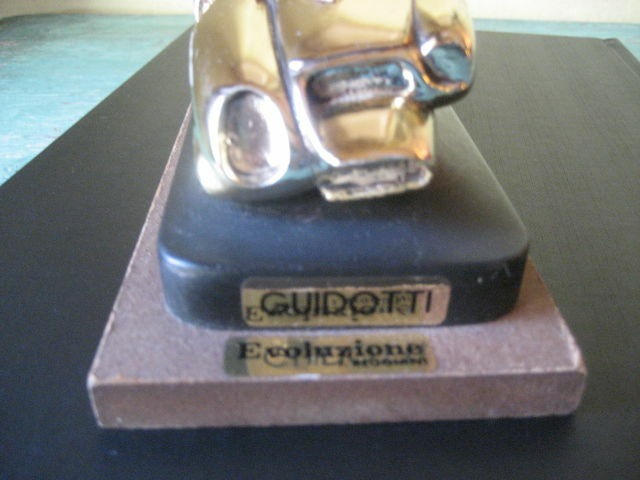 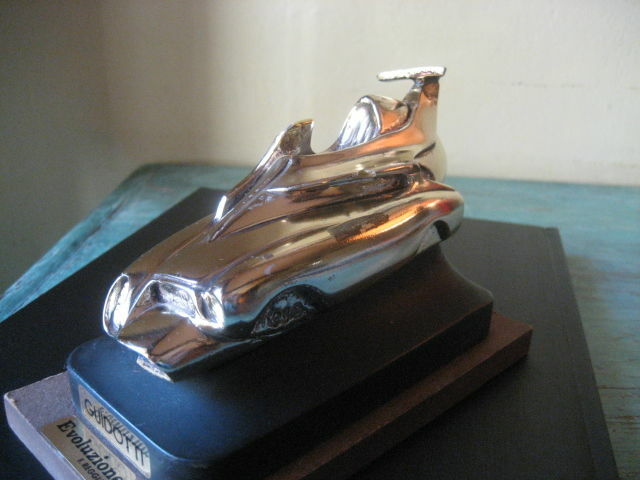 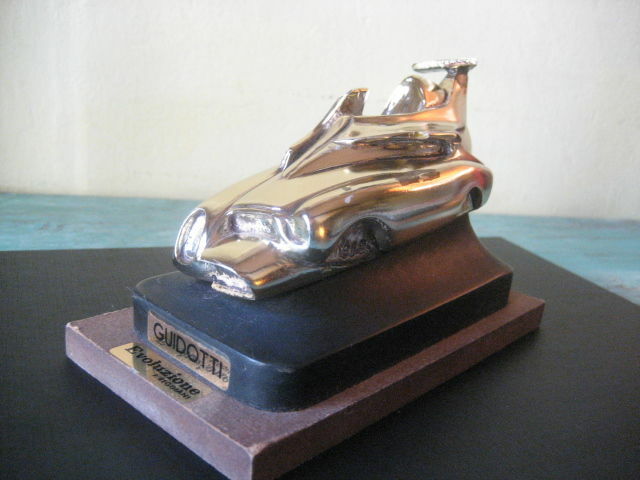 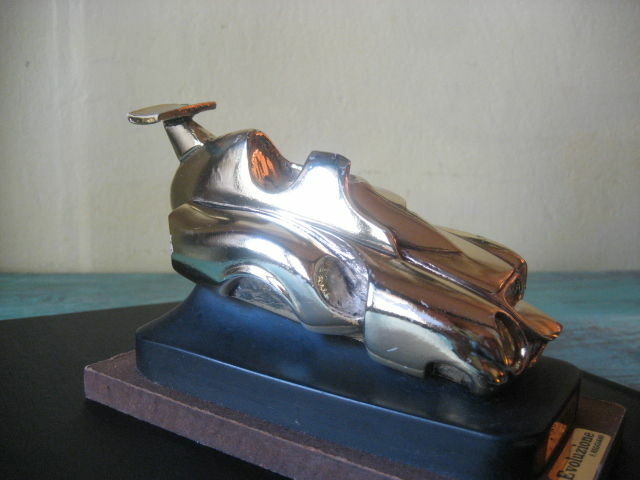 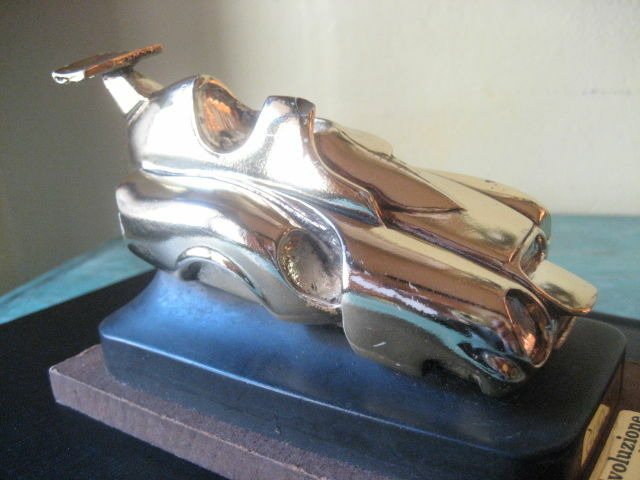 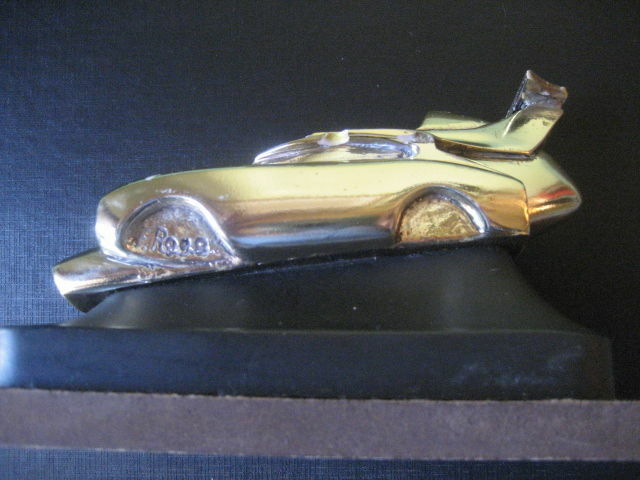 Artwork by the automotive designer and sculptor Franco Reggiani 1926-1991 (Ferrari, Cisitalia, Alfa Romeo, Maserati); he made it in limited edition for laboratories Guidotti SpA. 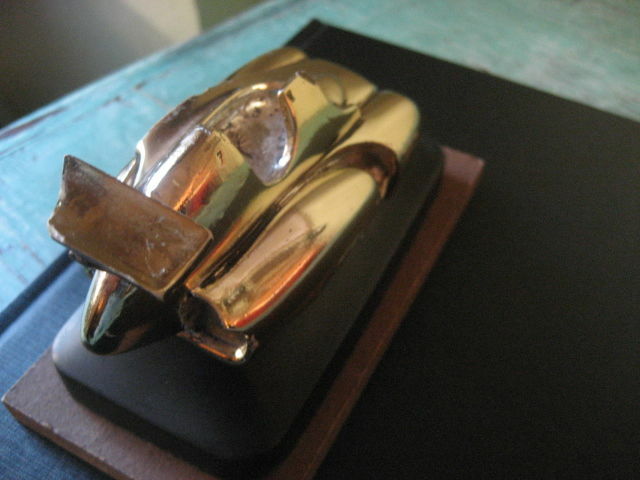 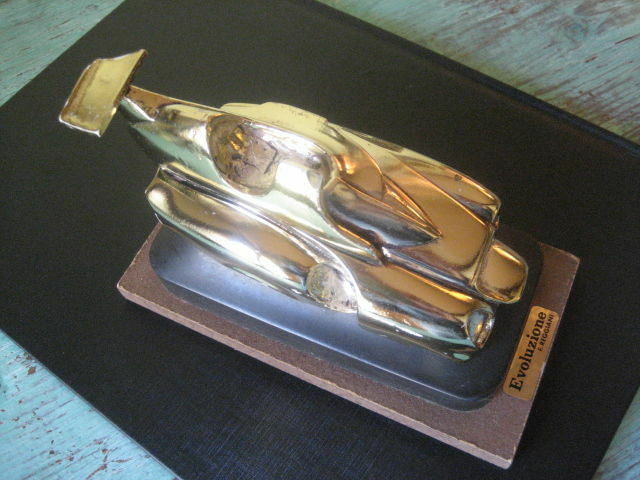 Hard resin bronze laminated sculpture with wooden and slate base. 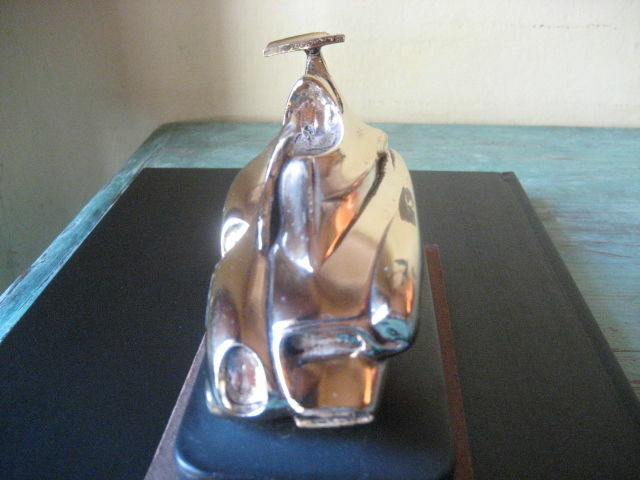 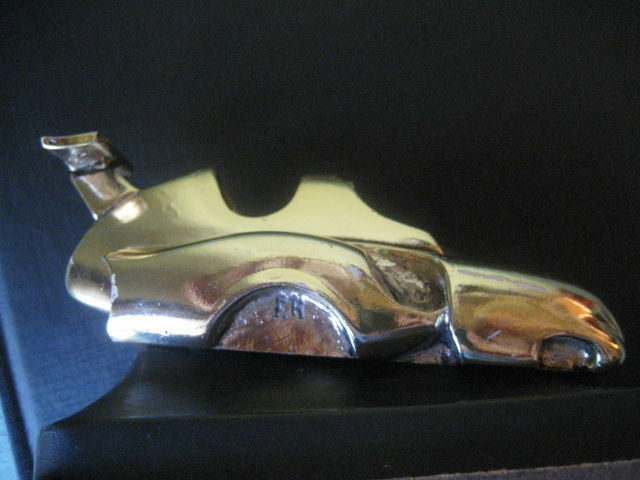 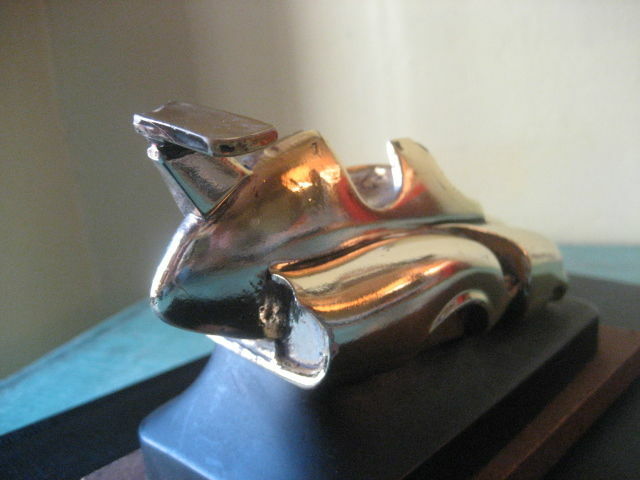 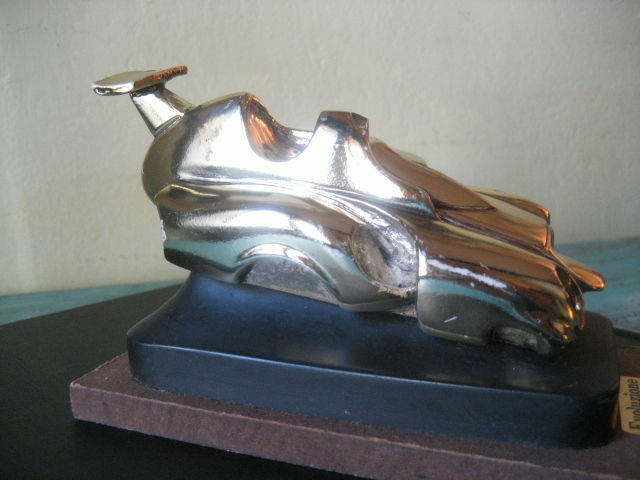 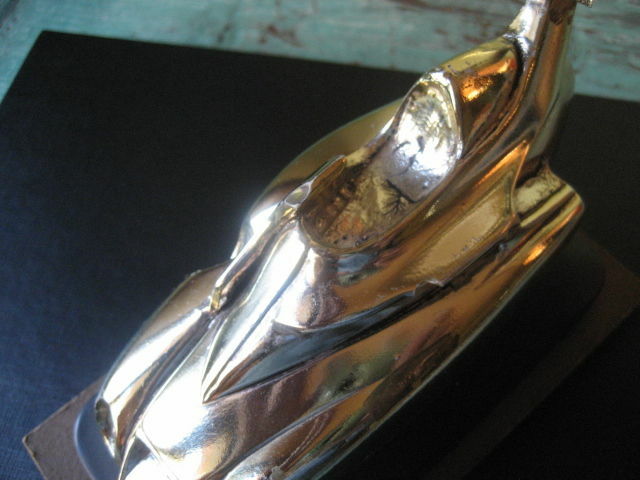 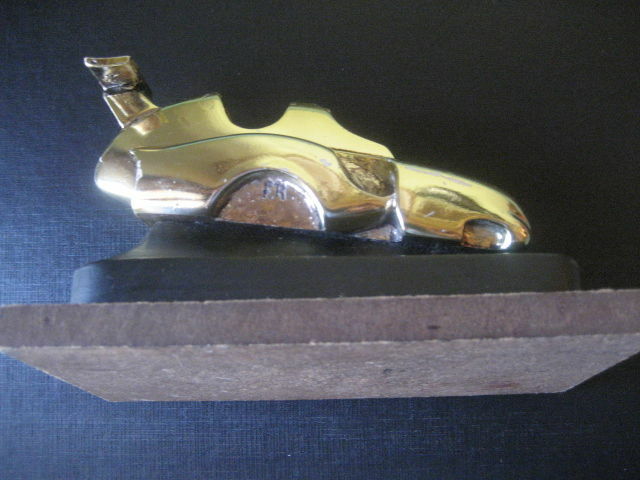 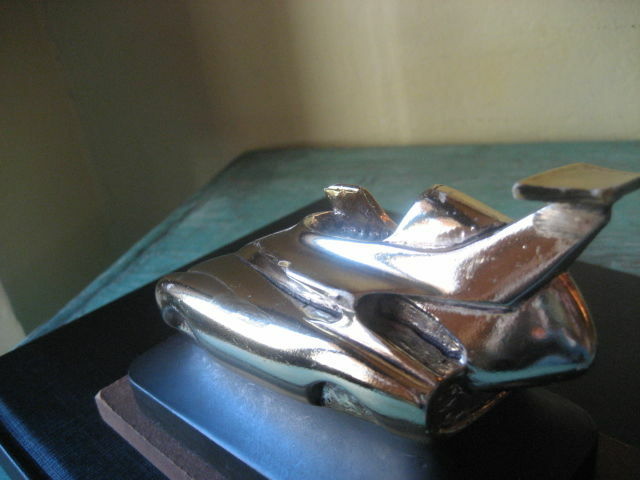 The original bronze sketch was donated in 1979 to Enzo Ferrari on the fiftieth anniversary of the Ferrari team, and then Reggiani created the ‘Monumento Ferrari Evoluzione’, 15 times the size of the original that was placed from 1988 to 2013 on the A1 motorway in Calvetro. 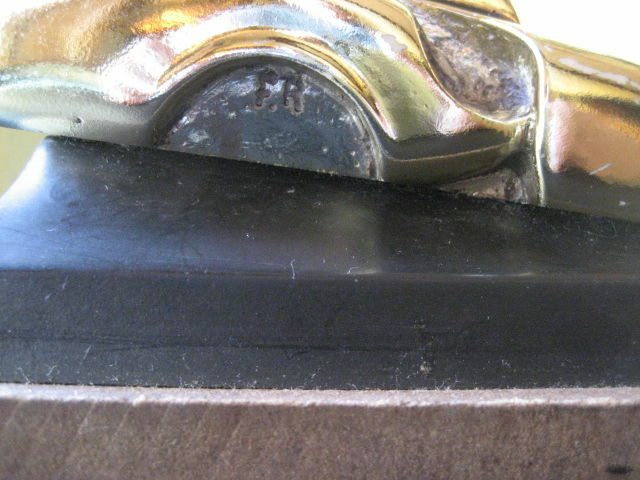 It has now been relocated in Reggio Emilia near the High Speed Train Station. 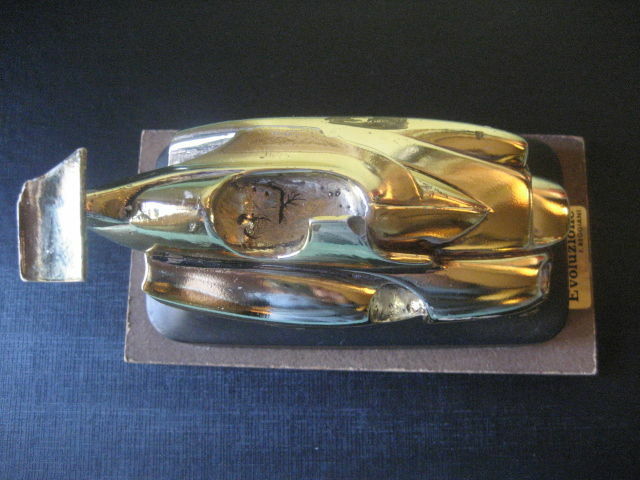 The sculpture groups and blends into a single plastic and dynamic form the stylistic elements of 7 different models that have made the history of the first 50 years of the Scuderia Ferrari. 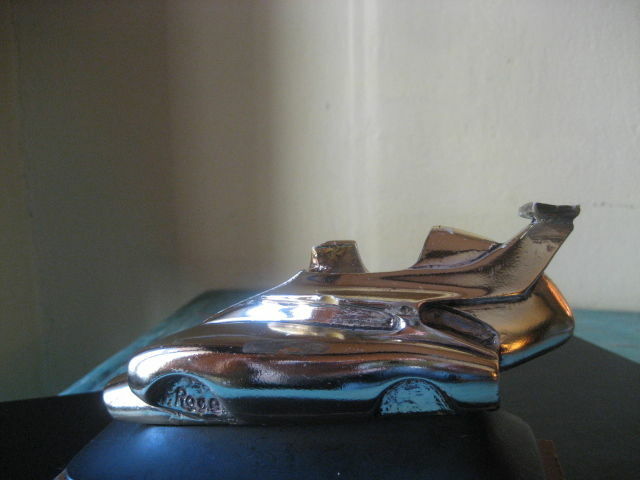 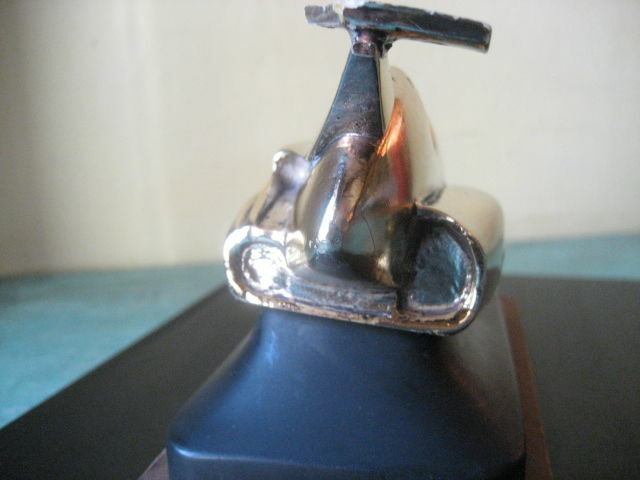 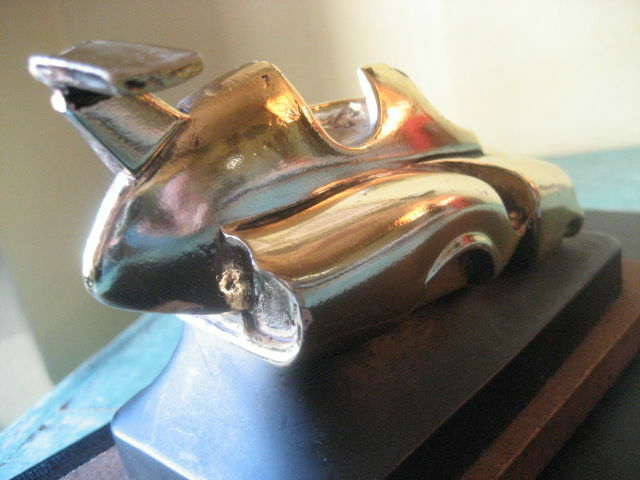 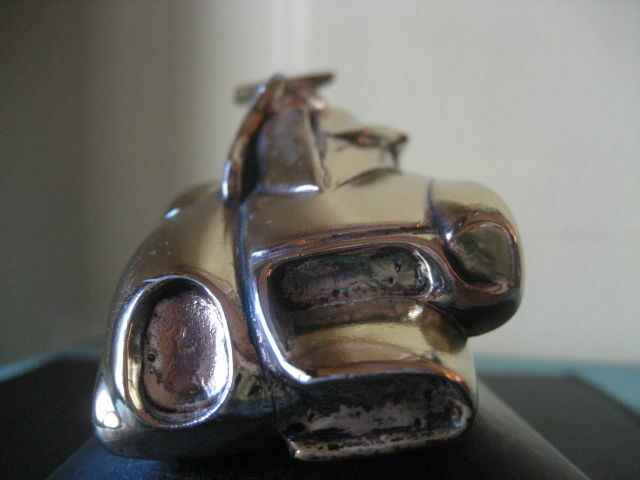 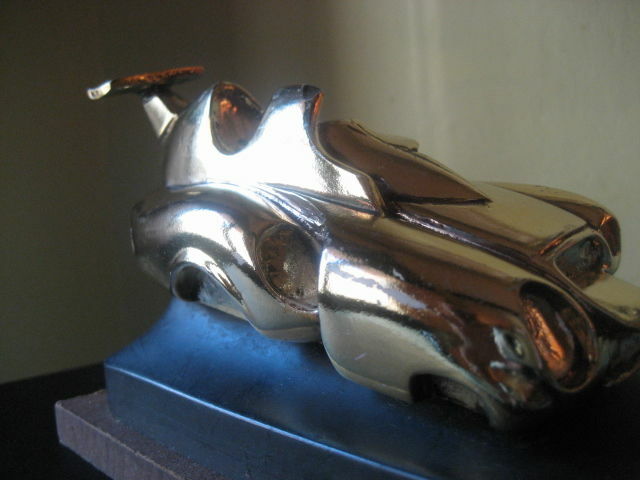 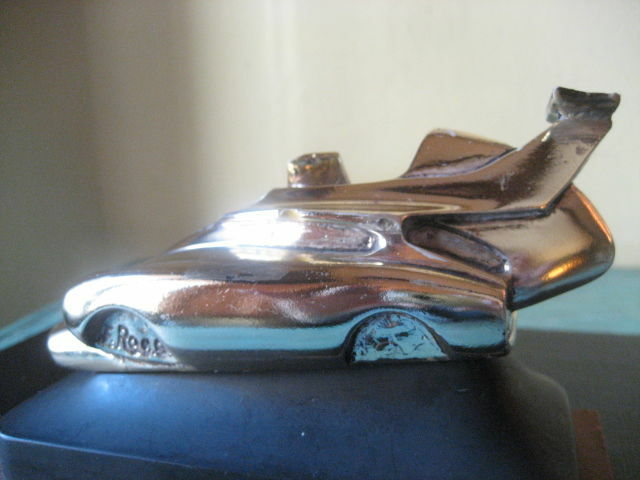 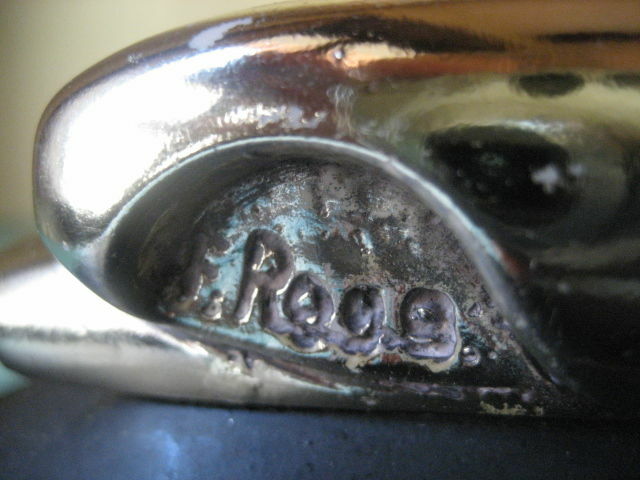 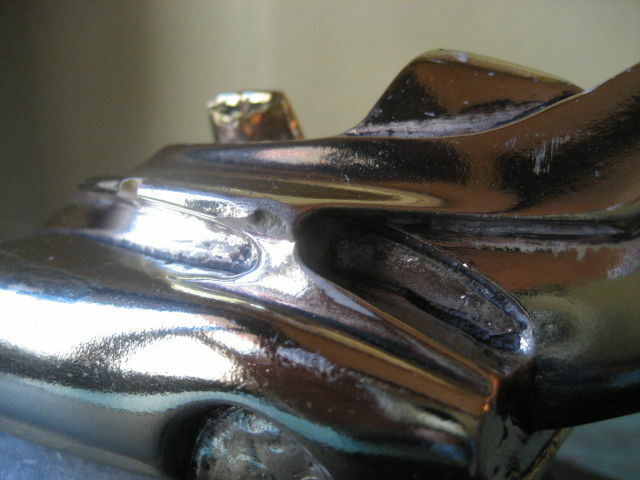 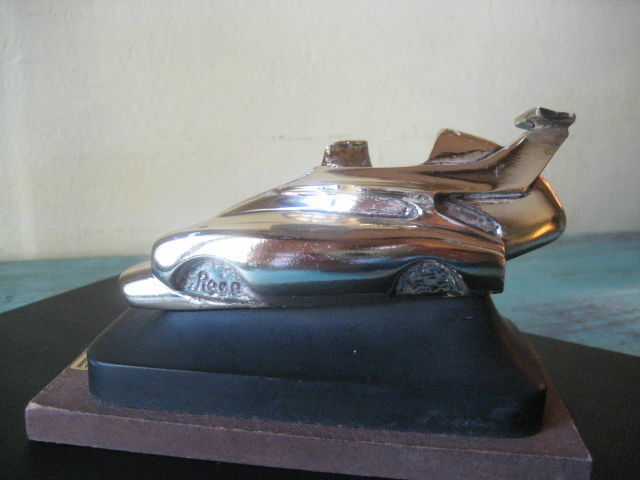 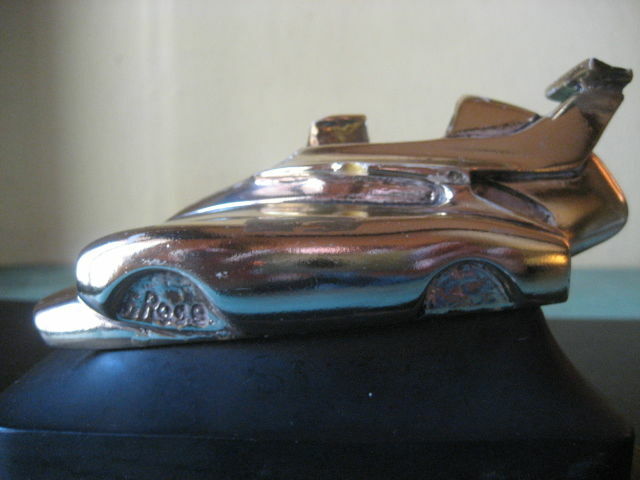 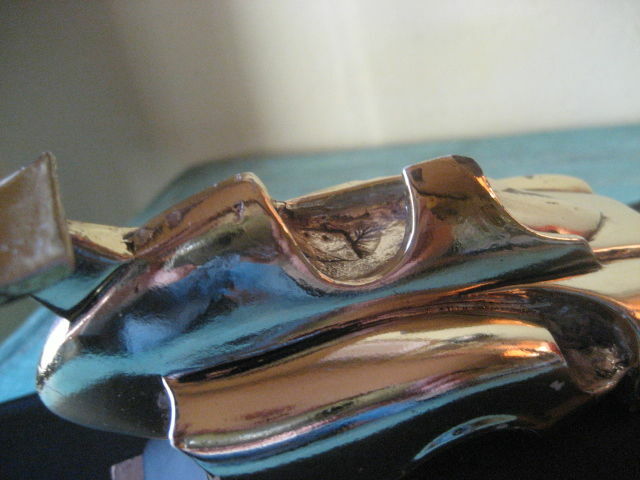 The author’s signature can be found in the front left mudguard, while a small damage to the rear wing is clearly shown in photos, but it doesn’t affect the beauty of the sculpture as a whole.